Are you worn out trying to "motivate" their employees? Everything you do is based on your actions? Why can't your workers self-motivate? Why can't they just "do their jobs"? Why does it all have to be about what you, the manager, does to motivate them? There has to be a better way, right? There is - systems or structural motivation. The motivation has nothing to do with what you do. It is all about setting something up as a system or a process - which some people refer to as a "structure". 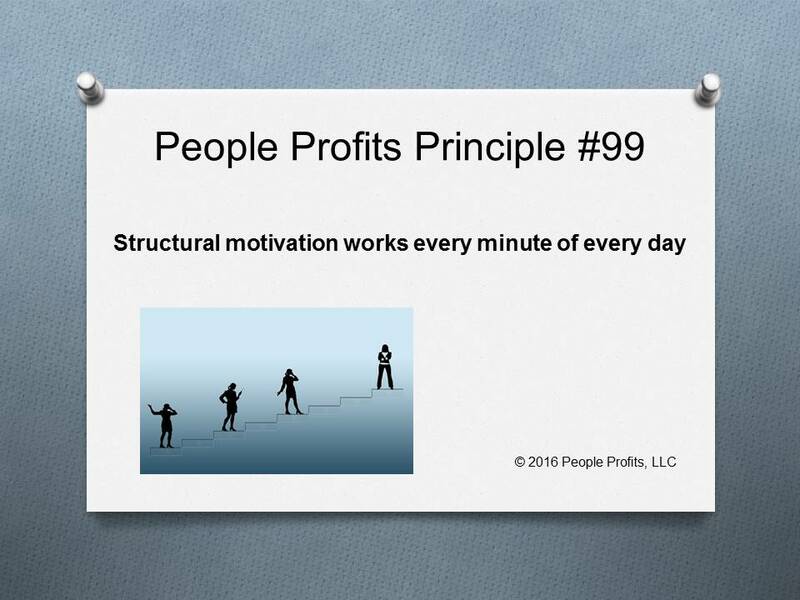 Now it is the system/process/structure that is actually doing the motivating. The most common example would be a incentive compensation plan. Now take that concept and expand it in all directions. What system can we set up that will immediately motivate YOUR employees in YOUR Company with YOUR culture. The list becomes endless quickly.